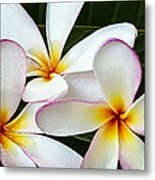 There are no comments for Tropical Maui Plumeria. Click here to post the first comment. 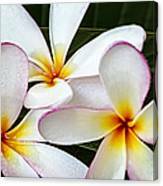 Tropical Maui Plumeria (common name Frangipani) is a genus of flowering plants in the dogbane family, Apocynaceae. 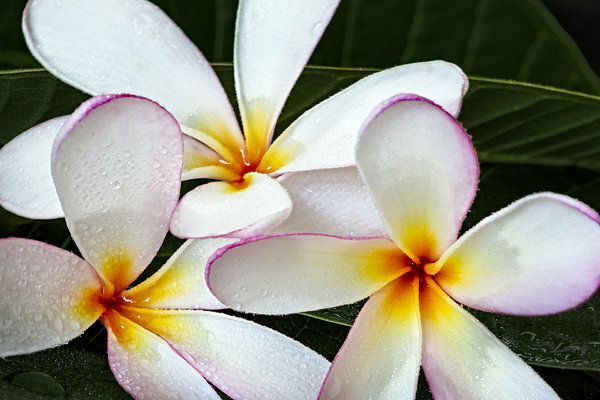 These particular blooms are white and pink with bright yellow in the center and are wet after a summer rain shower. 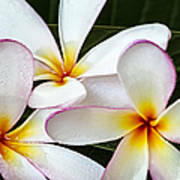 Plumerias are tropical trees famous for their gorgeous flowers which are used to make leis (floral garlands).